MPEG LA on behalf of the users of binaries for its open source H.264 encoder. 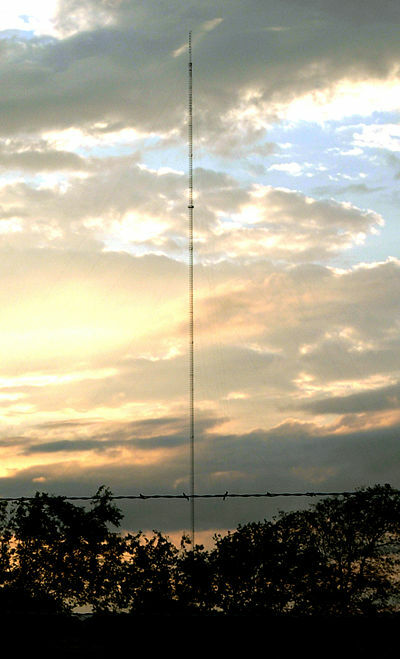 MPEG-2 video is known to the ITU-T community as H.262.) Some software programs (such as VLC media player) internally identify this standard as AVC1. History In early 1998, the Video Coding Experts Group (VCEG – ITU-T SG16 Q.6) issued a call for proposals on a project called H.26L, with the target to double the coding efficiency (which means halving the bit rate necessary for a given level of fidelity) in comparison to any other existing video coding standards for a broad variety of applications. 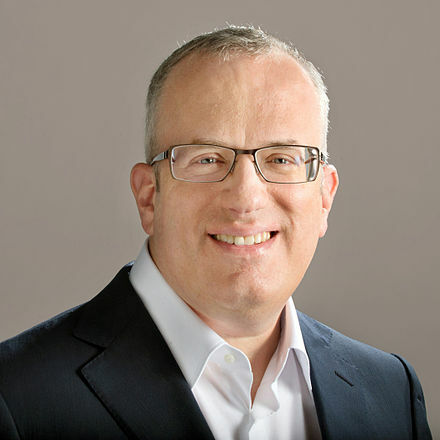 VCEG was chaired by Gary Sullivan (Microsoft, formerly PictureTel, U.S.). The first draft design for that new standard was adopted in August 1999. In 2000, Thomas Wiegand (Heinrich Hertz Institute, Germany) became VCEG co-chair. In December 2001, VCEG and the Moving Picture Experts Group (MPEG – ISO/IEC JTC 1/SC 29/WG 11) formed a Joint Video Team (JVT), with the charter to finalize the video coding standard. Formal approval of the specification came in March 2003. 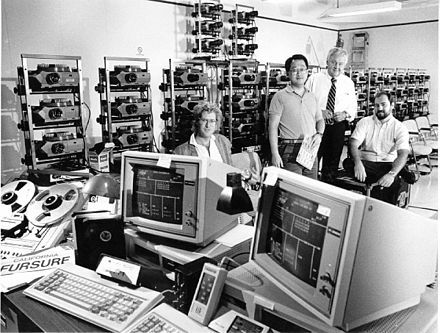 The JVT was (is) chaired by Gary Sullivan, Thomas Wiegand, and Ajay Luthra (Motorola, U.S.: later Arris, U.S.). In June 2004, the Fidelity range extensions (FRExt) project was finalized. From January 2005 to November 2007, the JVT was working on an extension of H.264/AVC towards scalability by an Annex (G) called Scalable Video Coding (SVC). The JVT management team was extended by Jens-Rainer Ohm (Aachen University, Germany). 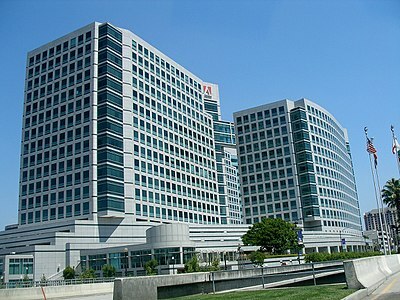 From July 2006 to November 2009, the JVT worked on Multiview Video Coding (MVC), an extension of H.264/AVC towards free viewpoint television and 3D television. That work included the development of two new profiles of the standard: the Multiview High Profile and the Stereo High Profile. 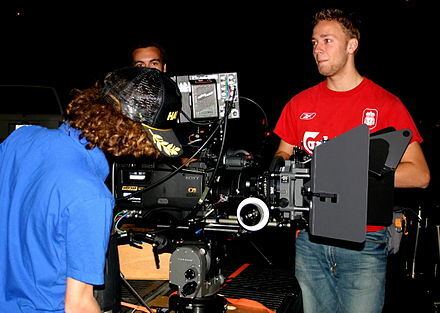 The standardization of the first version of H.264/AVC was completed in May 2003. In the first project to extend the original standard, the JVT then developed what was called the Fidelity Range Extensions (FRExt). These extensions enabled higher quality video coding by supporting increased sample bit depth precision and higher-resolution color information, including sampling structures known as Y'CbCr 4:2:2 (=YUV 4:2:2) and Y'CbCr 4:4:4. Several other features were also included in the Fidelity Range Extensions project, such as adaptive switching between 4×4 and 8×8 integer transforms, encoder-specified perceptual-based quantization weighting matrices, efficient inter-picture lossless coding, and support of additional color spaces. The design work on the Fidelity Range Extensions was completed in July 2004, and the drafting work on them was completed in September 2004. Further recent extensions of the standard then included adding five other new profiles[which?] intended primarily for professional applications, adding extended-gamut color space support, defining additional aspect ratio indicators, defining two additional types of "supplemental enhancement information" (post-filter hint and tone mapping), and deprecating one of the prior FRExt profiles[which?] that industry feedback[by whom?] indicated should have been designed differently. The next major feature added to the standard was Scalable Video Coding (SVC). Specified in Annex G of H.264/AVC, SVC allows the construction of bitstreams that contain sub-bitstreams that also conform to the standard, including one such bitstream known as the "base layer" that can be decoded by a H.264/AVC codec that does not support SVC. For temporal bitstream scalability (i.e., the presence of a sub-bitstream with a smaller temporal sampling rate than the main bitstream), complete access units are removed from the bitstream when deriving the sub-bitstream. In this case, high-level syntax and inter-prediction reference pictures in the bitstream are constructed accordingly. On the other hand, for spatial and quality bitstream scalability (i.e. the presence of a sub-bitstream with lower spatial resolution/quality than the main bitstream), the NAL (Network Abstraction Layer) is removed from the bitstream when deriving the sub-bitstream. In this case, inter-layer prediction (i.e., the prediction of the higher spatial resolution/quality signal from the data of the lower spatial resolution/quality signal) is typically used for efficient coding. The Scalable Video Coding extensions were completed in November 2007. The next major feature added to the standard was Multiview Video Coding (MVC). Specified in Annex H of H.264/AVC, MVC enables the construction of bitstreams that represent more than one view of a video scene. An important example of this functionality is stereoscopic 3D video coding. Two profiles were developed in the MVC work: Multiview High Profile supports an arbitrary number of views, and Stereo High Profile is designed specifically for two-view stereoscopic video. The Multiview Video Coding extensions were completed in November 2009. Versions Versions of the H.264/AVC standard include the following completed revisions, corrigenda, and amendments (dates are final approval dates in ITU-T, while final "International Standard" approval dates in ISO/IEC are somewhat different and slightly later in most cases). Each version represents changes relative to the next lower version that is integrated into the text. Hybrid Log-Gamma (HLG), and additional color-related VUI code points and SEI messages. Using previously encoded pictures as references in a much more flexible way than in past standards, allowing up to 16 reference frames (or 32 reference fields, in the case of interlaced encoding) to be used in some cases. In profiles that support non-IDR frames, most levels specify that sufficient buffering should be available to allow for at least 4 or 5 reference frames at maximum resolution. This is in contrast to prior standards, where the limit was typically one; or, in the case of conventional "B pictures" (B-frames), two. This particular feature usually allows modest improvements in bit rate and quality in most scenes. But in certain types of scenes, such as those with repetitive motion or back-and-forth scene cuts or uncovered background areas, it allows a significant reduction in bit rate while maintaining clarity. Variable block-size motion compensation (VBSMC) with block sizes as large as 16×16 and as small as 4×4, enabling precise segmentation of moving regions. The supported luma prediction block sizes include 16×16, 16×8, 8×16, 8×8, 8×4, 4×8, and 4×4, many of which can be used together in a single macroblock. Chroma prediction block sizes are correspondingly smaller according to the chroma subsampling in use. The ability to use multiple motion vectors per macroblock (one or two per partition) with a maximum of 32 in the case of a B macroblock constructed of 16 4×4 partitions. The motion vectors for each 8×8 or larger partition region can point to different reference pictures. The ability to use any macroblock type in B-frames, including I-macroblocks, resulting in much more efficient encoding when using B-frames. This feature was notably left out from MPEG-4 ASP. Six-tap filtering for derivation of half-pel luma sample predictions, for sharper subpixel motion-compensation. 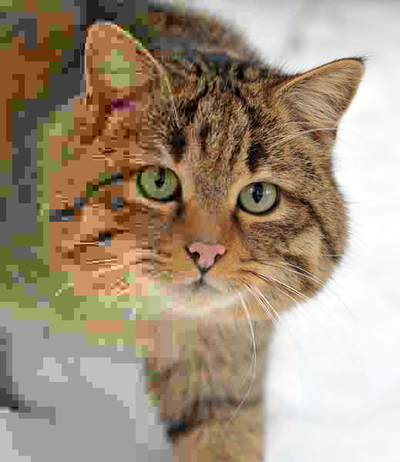 Quarter-pixel motion is derived by linear interpolation of the halfpel values, to save processing power. Quarter-pixel precision for motion compensation, enabling precise description of the displacements of moving areas. For chroma the resolution is typically halved both vertically and horizontally (see 4:2:0) therefore the motion compensation of chroma uses one-eighth chroma pixel grid units. Weighted prediction, allowing an encoder to specify the use of a scaling and offset when performing motion compensation, and providing a significant benefit in performance in special cases—such as fade-to-black, fade-in, and cross-fade transitions. This includes implicit weighted prediction for B-frames, and explicit weighted prediction for P-frames. A lossless "PCM macroblock" representation mode in which video data samples are represented directly, allowing perfect representation of specific regions and allowing a strict limit to be placed on the quantity of coded data for each macroblock. An enhanced lossless macroblock representation mode allowing perfect representation of specific regions while ordinarily using substantially fewer bits than the PCM mode. Macroblock-adaptive frame-field (MBAFF) coding, using a macroblock pair structure for pictures coded as frames, allowing 16×16 macroblocks in field mode (compared with MPEG-2, where field mode processing in a picture that is coded as a frame results in the processing of 16×8 half-macroblocks). Picture-adaptive frame-field coding (PAFF or PicAFF) allowing a freely selected mixture of pictures coded either as complete frames where both fields are combined together for encoding or as individual single fields. Hadamard transform performed on "DC" coefficients of the primary spatial transform applied to chroma DC coefficients (and also luma in one special case) to obtain even more compression in smooth regions. CAVLC is more elaborate and more efficient than the methods typically used to code coefficients in other prior designs. A common simple and highly structured variable length coding (VLC) technique for many of the syntax elements not coded by CABAC or CAVLC, referred to as Exponential-Golomb coding (or Exp-Golomb). A Network Abstraction Layer (NAL) definition allowing the same video syntax to be used in many network environments. One very fundamental design concept of H.264 is to generate self-contained packets, to remove the header duplication as in MPEG-4's Header Extension Code (HEC). This was achieved by decoupling information relevant to more than one slice from the media stream. 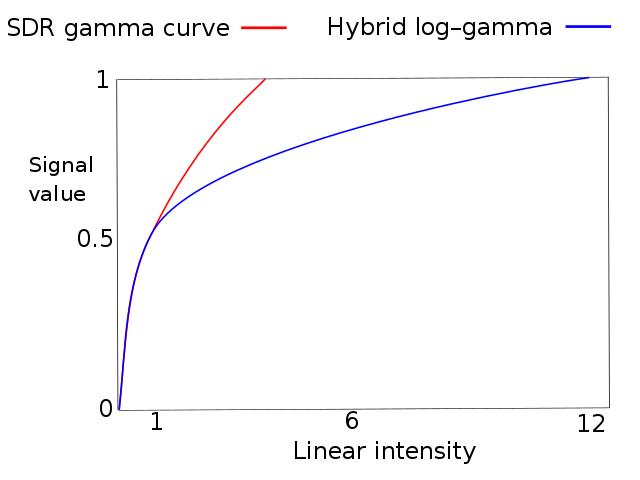 The combination of the higher-level parameters is called a parameter set. The H.264 specification includes two types of parameter sets: Sequence Parameter Set (SPS) and Picture Parameter Set (PPS). An active sequence parameter set remains unchanged throughout a coded video sequence, and an active picture parameter set remains unchanged within a coded picture. The sequence and picture parameter set structures contain information such as picture size, optional coding modes employed, and macroblock to slice group map. Flexible macroblock ordering (FMO), also known as slice groups, and arbitrary slice ordering (ASO), which are techniques for restructuring the ordering of the representation of the fundamental regions (macroblocks) in pictures. Typically considered an error/loss robustness feature, FMO and ASO can also be used for other purposes. Data partitioning (DP), a feature providing the ability to separate more important and less important syntax elements into different packets of data, enabling the application of unequal error protection (UEP) and other types of improvement of error/loss robustness. Redundant slices (RS), an error/loss robustness feature that lets an encoder send an extra representation of a picture region (typically at lower fidelity) that can be used if the primary representation is corrupted or lost. Frame numbering, a feature that allows the creation of "sub-sequences", enabling temporal scalability by optional inclusion of extra pictures between other pictures, and the detection and concealment of losses of entire pictures, which can occur due to network packet losses or channel errors. 0: checkerboard: pixels are alternatively from L and R. 1: column alternation: L and R are interlaced by column. 2: row alternation: L and R are interlaced by row. 3: side by side: L is on the left, R on the right. 4: top bottom: L is on top, R on bottom. 5: frame alternation: one view per frame. Auxiliary pictures, which can be used for such purposes as alpha compositing. Support of monochrome (4:0:0), 4:2:0, 4:2:2, and 4:4:4 chroma subsampling (depending on the selected profile). Support of sample bit depth precision ranging from 8 to 14 bits per sample (depending on the selected profile). The ability to encode individual color planes as distinct pictures with their own slice structures, macroblock modes, motion vectors, etc., allowing encoders to be designed with a simple parallelization structure (supported only in the three 4:4:4-capable profiles). Picture order count, a feature that serves to keep the ordering of the pictures and the values of samples in the decoded pictures isolated from timing information, allowing timing information to be carried and controlled/changed separately by a system without affecting decoded picture content. 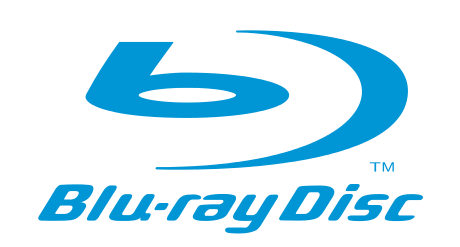 Blu-ray Disc storage format and the DVB HDTV broadcast service). Progressive High Profile (PHiP, 100 with constraint set 4) Similar to the High profile, but without support of field coding features. Constrained High Profile (100 with constraint set 4 and 5) Similar to the Progressive High profile, but without support of B (bi-predictive) slices. High 10 Profile (Hi10P, 110) Going beyond typical mainstream consumer product capabilities, this profile builds on top of the High Profile, adding support for up to 10 bits per sample of decoded picture precision. High 4:2:2 Profile (Hi422P, 122) Primarily targeting professional applications that use interlaced video, this profile builds on top of the High 10 Profile, adding support for the 4:2:2 chroma subsampling format while using up to 10 bits per sample of decoded picture precision. High 4:4:4 Predictive Profile (Hi444PP, 244) This profile builds on top of the High 4:2:2 Profile, supporting up to 4:4:4 chroma sampling, up to 14 bits per sample, and additionally supporting efficient lossless region coding and the coding of each picture as three separate color planes. CAVLC 4:4:4 Intra Profile (44) The High 4:4:4 Profile constrained to all-Intra use and to CAVLC entropy coding (i.e., not supporting CABAC). Scalable Baseline Profile (83) Primarily targeting video conferencing, mobile, and surveillance applications, this profile builds on top of the Constrained Baseline profile to which the base layer (a subset of the bitstream) must conform. For the scalability tools, a subset of the available tools is enabled. Scalable Constrained Baseline Profile (83 with constraint set 5) A subset of the Scalable Baseline Profile intended primarily for real-time communication applications. Scalable High Profile (86) Primarily targeting broadcast and streaming applications, this profile builds on top of the H.264/AVC High Profile to which the base layer must conform. Scalable Constrained High Profile (86 with constraint set 5) A subset of the Scalable High Profile intended primarily for real-time communication applications. Scalable High Intra Profile (86 with constraint set 3) Primarily targeting production applications, this profile is the Scalable High Profile constrained to all-Intra use. Levels As the term is used in the standard, a "level" is a specified set of constraints that indicate a degree of required decoder performance for a profile. For example, a level of support within a profile specifies the maximum picture resolution, frame rate, and bit rate that a decoder may use. A decoder that conforms to a given level must be able to decode all bitstreams encoded for that level and all lower levels. Where MaxDpbMbs is a constant value provided in the table below as a function of level number, and PicWidthInMbs and FrameHeightInMbs are the picture width and frame height for the coded video data, expressed in units of macroblocks (rounded up to integer values and accounting for cropping and macroblock pairing when applicable). This formula is specified in sections A.3.1.h and A.3.2.f of the 2009 edition of the standard. Wiegand, Thomas; Sullivan, Gary J.; Bjøntegaard, Gisle; Luthra, Ajay (July 2003). "Overview of the H.264/AVC Video Coding Standard" (PDF). IEEE Transactions on Circuits and Systems for Video Technology. 13 (7). Retrieved January 31, 2011. Topiwala, Pankaj; Sullivan, Gary J.; Luthra, Ajay (August 2004). "Overview and Introduction to the Fidelity Range Extensions" (PDF). SPIE Applications of Digital Image Processing XXVII. Retrieved January 31, 2011. Ostermann, J.; Bormans, J.; List, P.; Marpe, D.; Narroschke, M.; Pereira, F.; Stockhammer, T.; Wedi, T. (2004). "Video coding with H.264/AVC: Tools, Performance, and Complexity" (PDF). IEEE Circuits and Systems Magazine. 4 (1). Retrieved January 31, 2011. Sullivan, Gary J.; Wiegand, Thomas (January 2005). 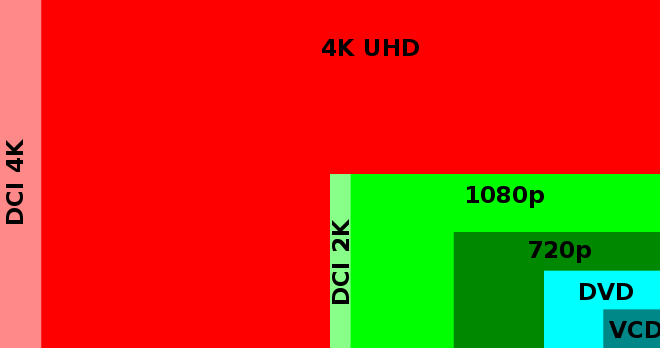 "Video Compression—From Concepts to the H.264/AVC Standard" (PDF). Proceedings of the IEEE. 93 (1). doi:10.1109/jproc.2004.839617. Retrieved January 31, 2011. Richardson, Iain E. G. (January 2011). "Learn about video compression and H.264". VCODEX. Vcodex Limited. Retrieved January 31, 2011.